Looking for fun things to do in Charleston, SC? Look no further! Book your Charleston Boat Tour below. Book 1 to 16 seats and come join our public Charleston boat tour on the water. Meet new friends and experience Charleston, SC like never before. 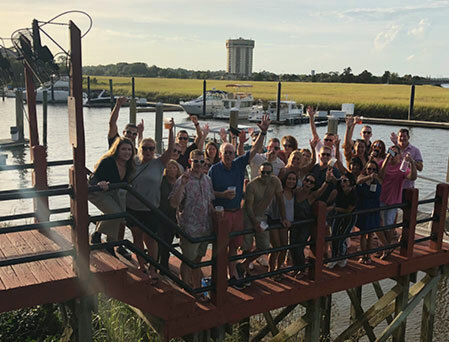 Take your celebration to the next level with the best boat tour in Charleston. If your group is larger than 16 or you’d like to add additional packages to your tour, this option is perfect for you. 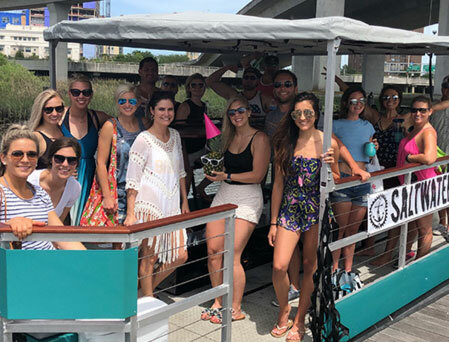 Contact our Charleston boat tour planners today to discuss all the options we have for groups over 16. 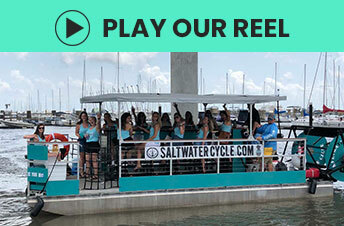 Saltwater Cycle is the most exciting boating experience in the Holy City. It's also one of the best boat tours in Charleston SC. You'll enjoy breathtaking views and a great time. 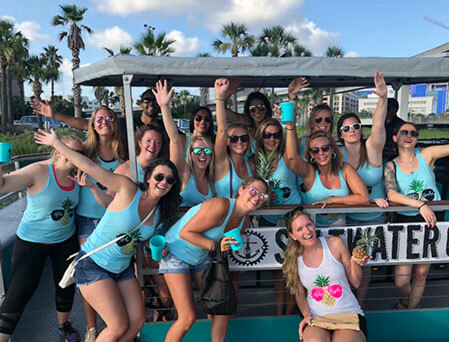 Whether you're looking for a relaxing boat tour for your family, a fun party cruise for your bachelor or bachelorette party, a cool new way to celebrate your birthday, or you're just looking for a few seats on a mixed tour with friends; Saltwater Cycle is one of the most unforgettable and fun things to do in Charleston. The BEST experience with Andrus and Marcus!! A definite MUST when visiting Charleston. Wanted to stay so much longer!! Such a fun experience, my friends and I all loved it! We booked a private group evening tour – highly recommend! From start to finish, everyone in our group had a blast! I would DEF recommend! Staff very friendly! 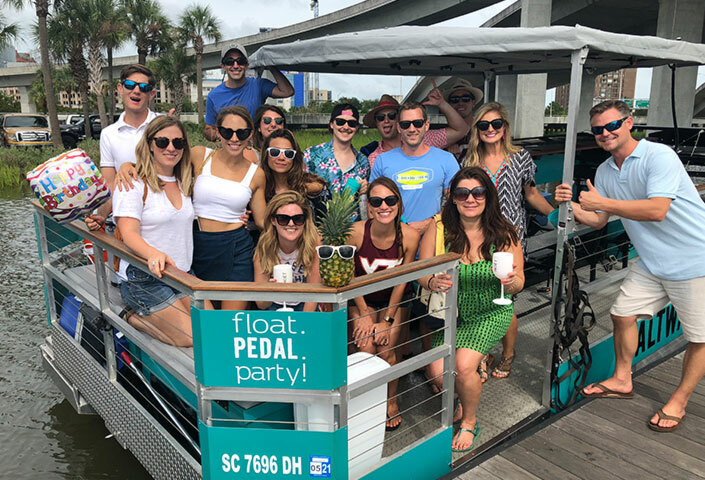 Click the button below to buy a gift certificate to send your friend or loved one on Charleston's favorite boat tour. Have a question? Need help with your booking? Fill out this form to get in contact with us!